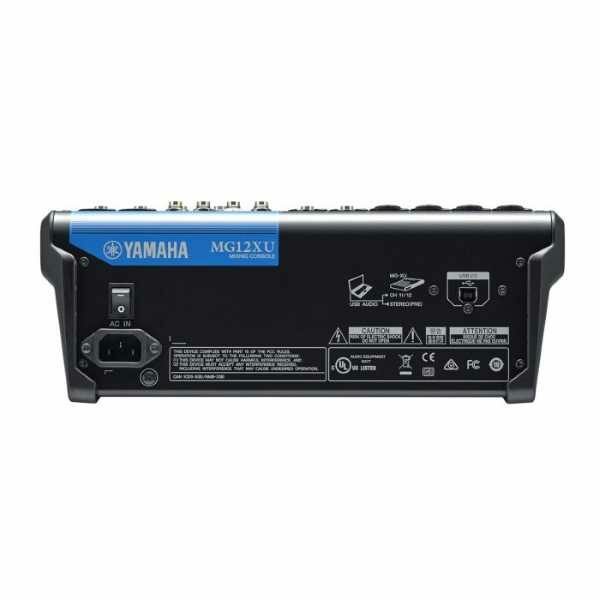 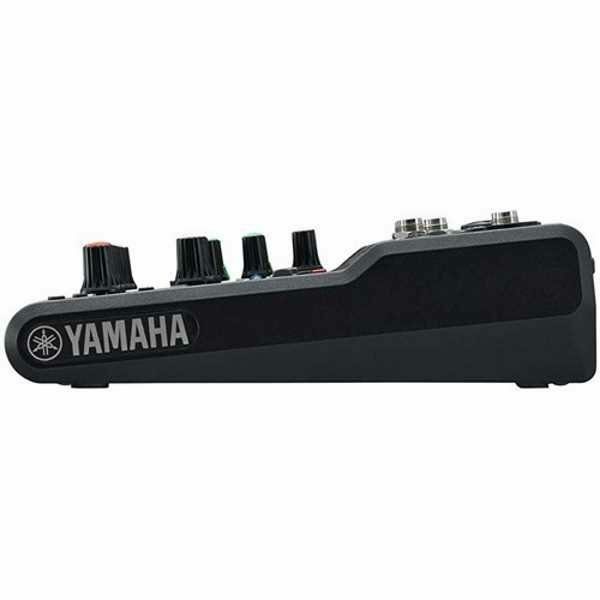 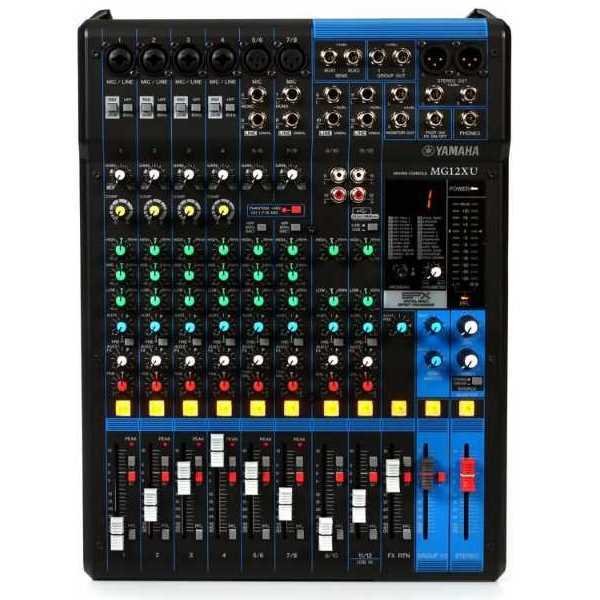 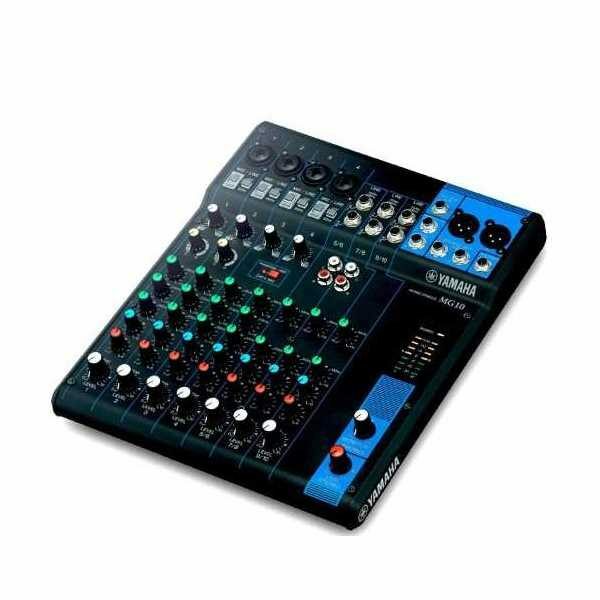 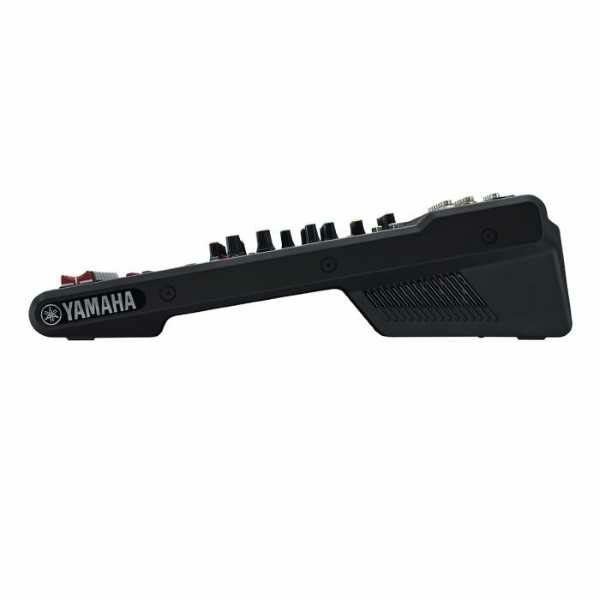 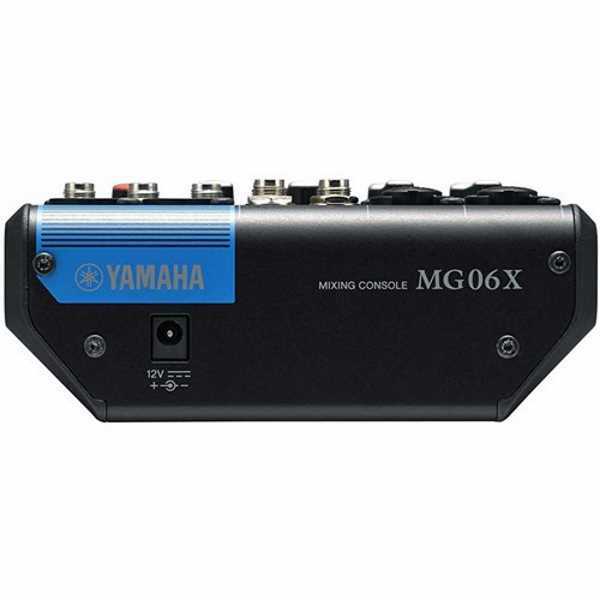 The MG06X from Yamaha is a compact six-input mixer with built-in effects for small performances, lectures, recordings and similar applications. 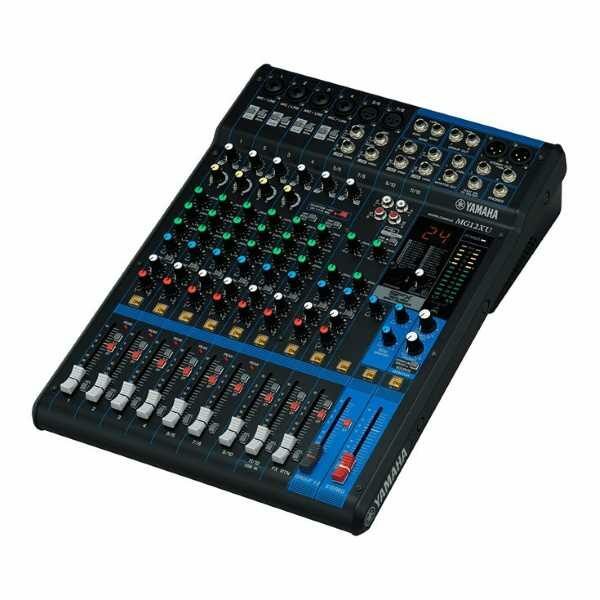 The mixer features two mic/line combo inputs with D-PRE mic preamps as well as four 1/4″ line inputs with stereo level controls. 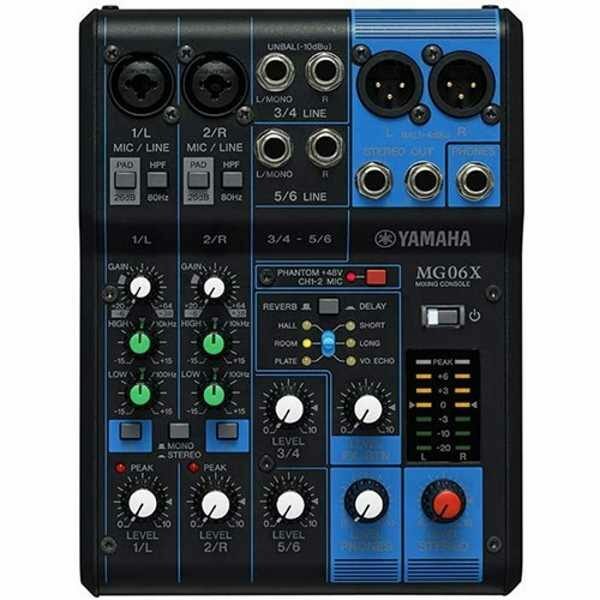 The MG06X mixer has stereo XLR outs for connecting to your PA system or monitor speakers. It also has a 1/4″ headphone output with level control for personal monitoring, as well as TRS 1/4″ stereo outs for sending to powered speakers, amplifiers or devices such as digital recorders. 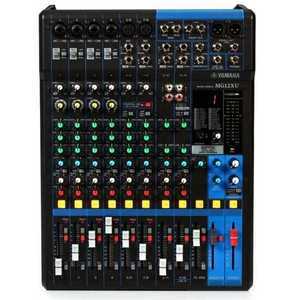 The mixer’s built-in effects can be engaged on the two mic/line combo inputs and they feature reverb and delay. 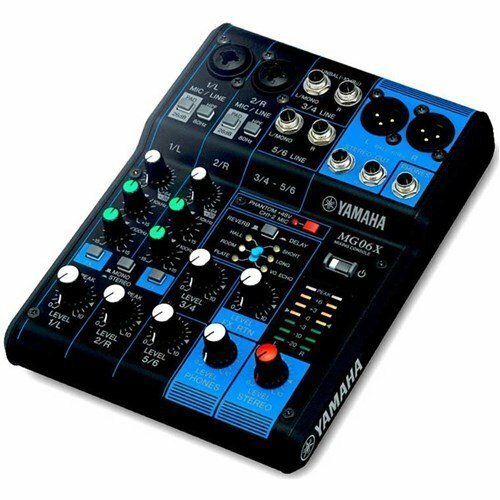 Providing three reverb and three delay settings plus a dedicated FX return level control, these effects can be used to help vocals and instruments sit better in your mix.